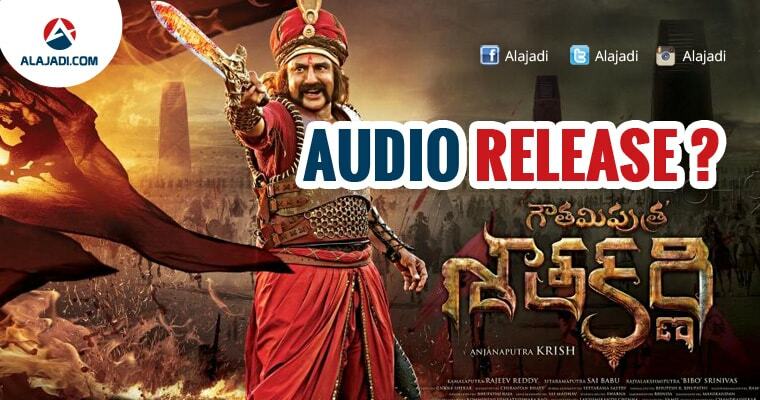 » Gautamiputra Satakarni Audio Release Date is Fixed ! Nandamuri Balakrishna’s 100th movie Gautamiputra Satakarni is the Telugu epic historical action film written and directed by National award winner Krish Jagarlamudi and produced by Saibabu Jagarlamudi & Y. Rajeev Reddy on First Frame Entertainment banner. Here comes the good news for Nandamuri fans, the Gautamiputra Satakarni audio release date has been confirmed to be Dec 16. To be held on a grand scale in Tirupathi, it will see the AP CM N Chandrababu Naidu and Union Minister Venkaiah Naidu as the chief guests. The film is based on the life history of ruler Gautamiputra Satakarni. Gautamiputra Satakarni was a ruler of the Satavahana Empire in present-day Deccan region of India. He ruled in the 2nd century CE, although his exact period uncertain. Gautamiputra Satakarni’ has been creating a lot of buzz in the industry. The shooting of this historical movie is happening and is currently in the final stages of shoot. This film Stars Nandamuri Balakrishna in the title role, Shriya Saran as the female lead pairing opposite Balakrishna. The music album will have six songs. The buzz is that Sree Vidyanikethan Engineering College’s ground will be the venue for the audio launch event. Gautamiputra Satakarni is all set for Sankranthi 2017 release.